Sometimes Easter is celebrated by both Western Churches and Orthodox Church on the same day, however this year Easter is celebrated on 5th April by Catholics and most of the western world, but the Orthodox Church is celebrating Easter today on the 12th April. To be honest, I really do not know how to celebrate Western Church Easter in London apart from stacking chocolate eggs, and prepare a ‘better’ lunch on Sunday. None of my friends ever mentioned their family tradition or customs they follow and usually everybody goes on a holiday. London is deserted place. I am sure there is some special things that are always done by the people of religion, but I have not found out what that is. As I celebrate Orthodox Easter, I wanted to share some few traditional things I do every year. Good Friday supposed to be the saddest day in the year commemorating the crucifixion of Jesus Christ and his death at Golgotha. It is a public holiday in many countries. People usually fast, do not eat any animal, dairy and fish products. 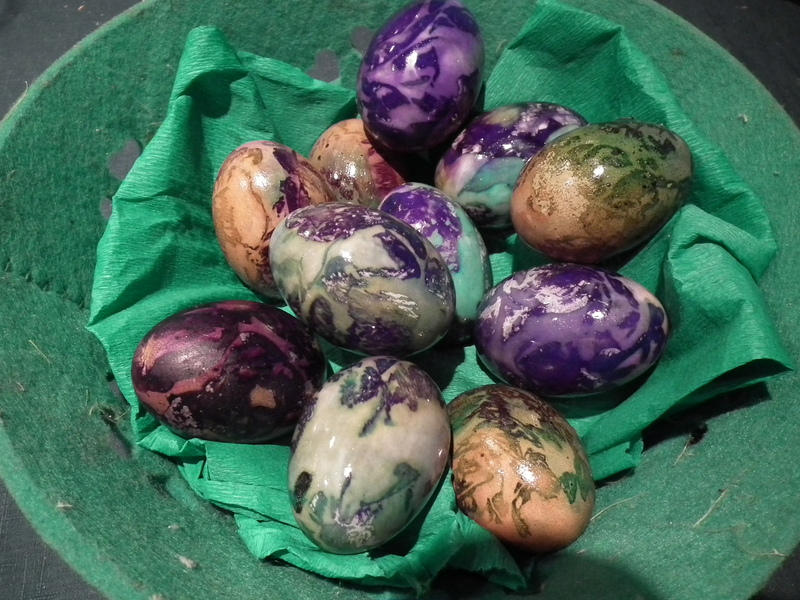 One of the things you definitely have to do is to dye Easter eggs. This is what Easter is all about. The real ones, not the chocolate eggs! In Orthodox tradition, eggs are a symbol of new life. Early Christians used eggs to symbolise the resurrection of Jesus Christ. Usually eggs are dyed in red to represent the blood of Jesus, however this year I am breaking a tradition. 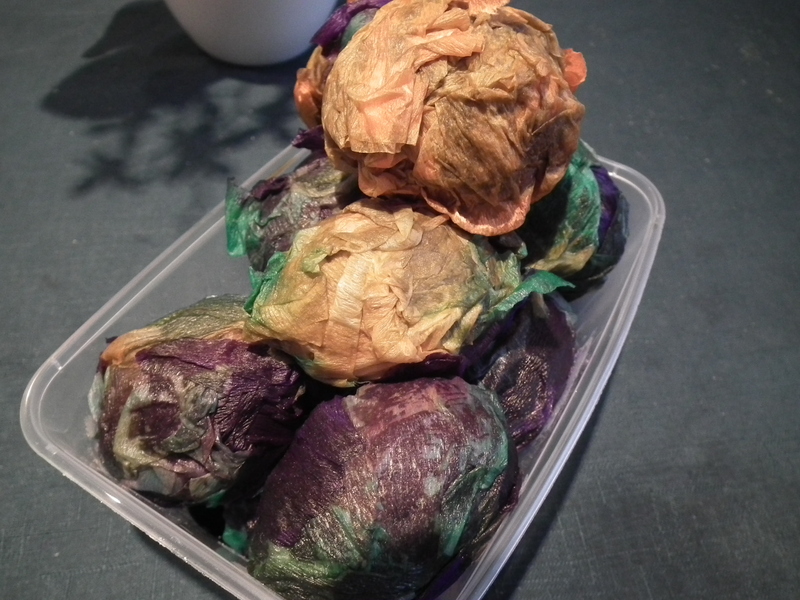 I decided to use the crepe paper to colour my eggs. The brightest colours the better. I used purple, orange and green crepe paper. 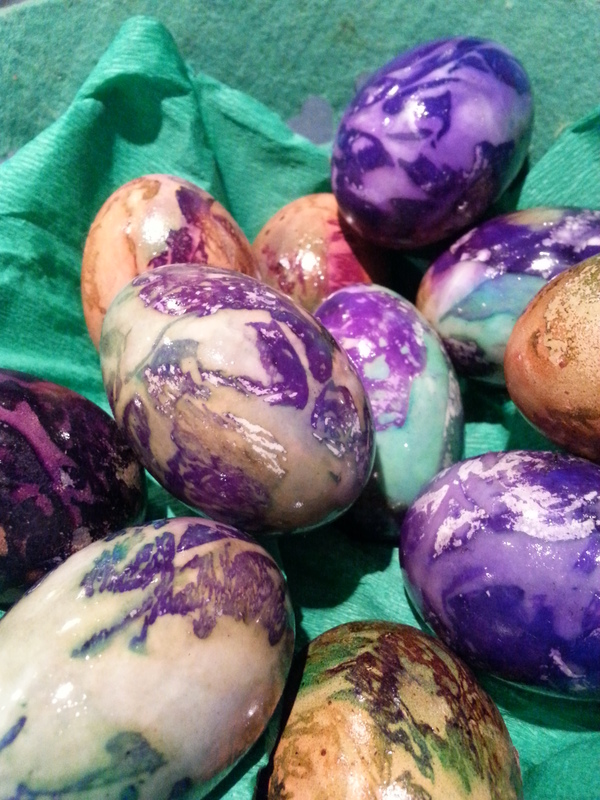 The technique is super easy and in only 30 minutes you will have an amazing artistic coloured eggs. Crepe paper is cut into small pieces (you can cut them in any size you wish). You also need some vinegar, gloves and of course lovely eggs. I used both chicken and duck eggs. Duck eggs are fabulous as they are bigger and white and crepe paper colour is more more vivid and stronger on them. Boiled 12 eggs to be hard boiled (10 min for chicken eggs and about 14 minutes for duck eggs). Pour vinegar in a bowl. (I used about 300 ml, but you might need more depending how many eggs you want to dye). 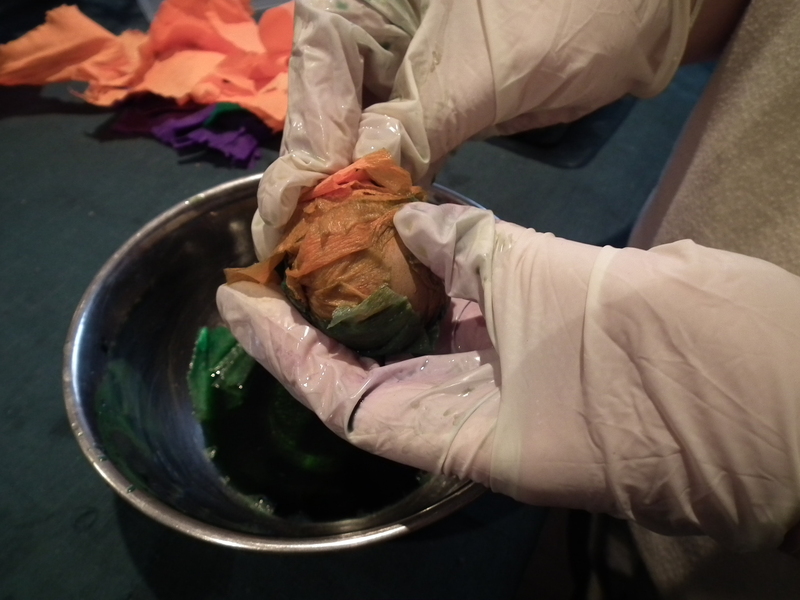 Once the eggs are done, put the crepe paper in the vinegar and then cover the egg. The more layers of the crepe paper the better. 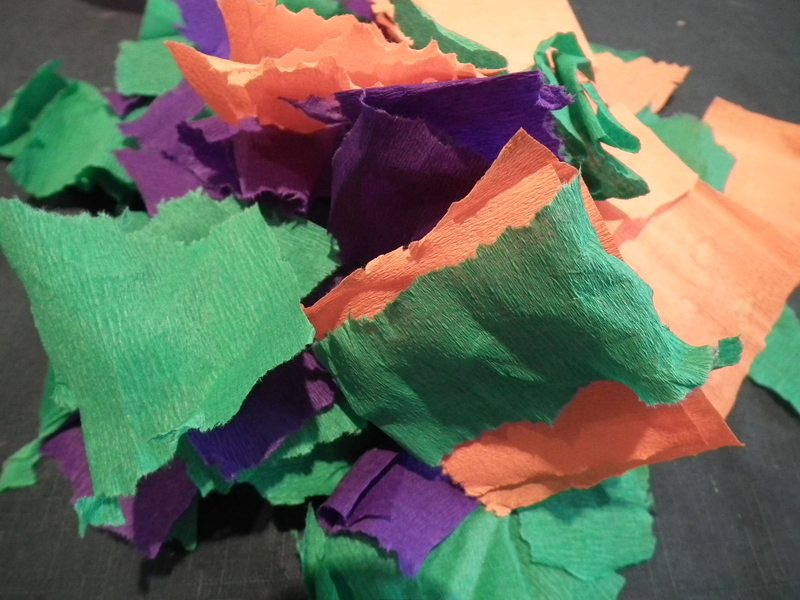 Every time you use a layer of crepe paper use different colour for the most colourful effect. 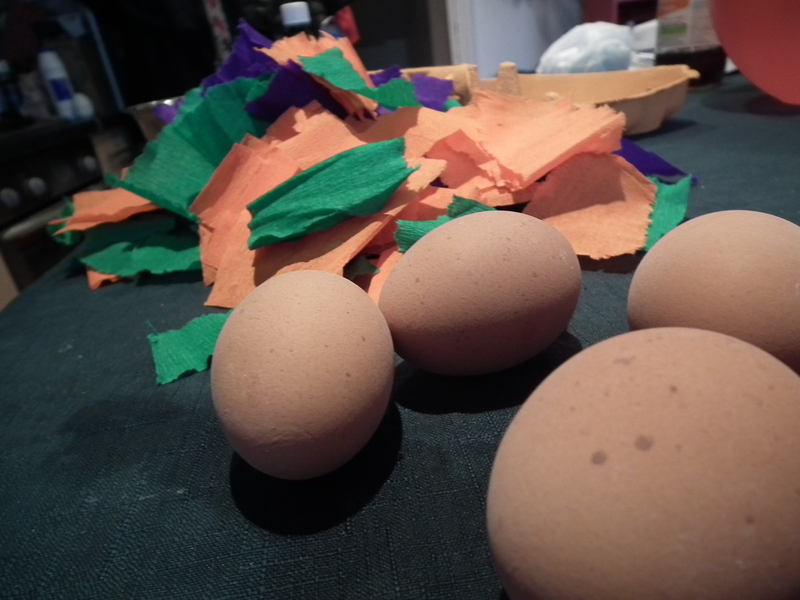 Once it is covered with the crepe paper, put the eggs in a small but deep plastic container. You can also use a plastic bottle, cut at the top. 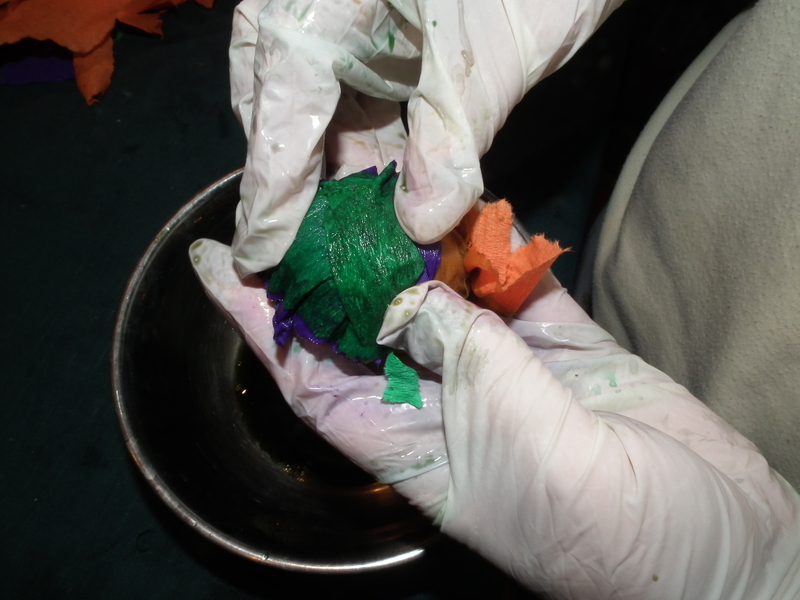 Make sure that eggs are placed on top of each other as the colours will integrate one with another. The process is completed and you can drink a cup of tea while waiting for crepe paper and vinegar to do the trick. 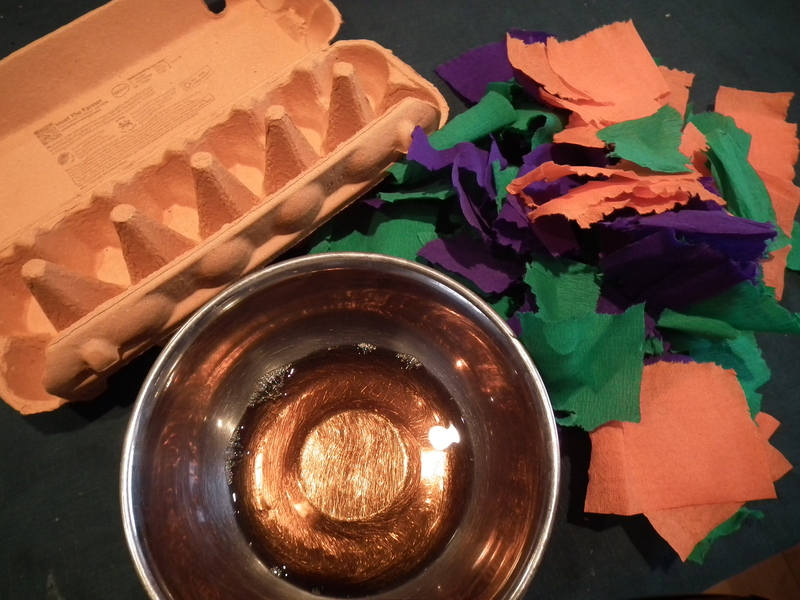 After 30 minutes, remove the crepe paper; cover each egg with some oil for the shiny finish and that is it! You have amazing, beautiful eggs ready to be eaten for Easter. We usually eat eggs for Easter breakfast. We play egg fight (also known as egg tapping) where one holds an egg and taps the egg of another participant with one’s own egg intending to break the other’s, without breaking their own. It’s fun and can go until the last egg is left. This entry was posted in Savoury delights and tagged dyed eggs, Easter, egg, Orthodox. Bookmark the permalink.